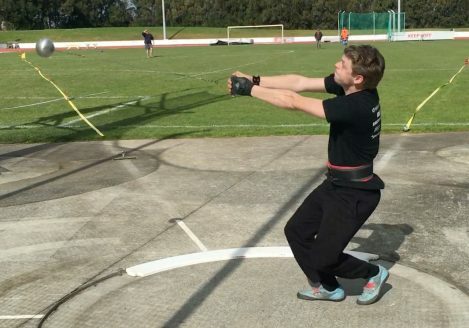 Hi my name is Anthony Nobilo and I am a young Hammer Thrower from Auckland. I have had the honour of being selected to represent New Zealand in the Oceania Area and Combined Events Championships in Townsville in Queensland, Australia, in June this year. This is the first time I have been selected to represent my country and I am so humbled and honoured to be asked to do this. I have dreams of one day representing New Zealand at the Olympic Games and this is a stepping stone on my way to achieving that dream in the future. I have been enjoying, training and competing in athletics since the age of 7. At the age of 9, I showed some promise in discus and shot and so found my way into the junior throwing squad at my club, North Harbour Bays, maintaining my place in the squad not so much because of outstanding talent but because I had a good work ethic and my junior coach, Sasha Pilkington, recognised something else in me as I listened and tried very hard in training. 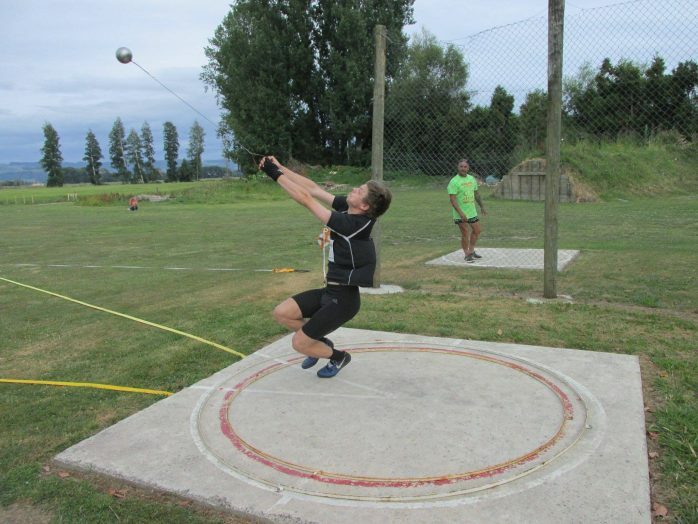 At 12 years old after being in the squad for 3 years, I won my first Colgate medal at the North Island Children’s Athletic Championships – a silver in the Discus and in that same year, at 12 years old, I was introduced to the Hammer Throw and here is where I found my passion. I love to throw the Hammer. I just love it. Any assistance you could give me would be so appreciated no matter how big or small, to help me on my way to represent my country for the first time. It would mean so much and I would be very grateful. Thank you for taking the time to read my story. At 14 years old I won my first ever big Championship being the New Zealand Secondary Schools (NZSSA) Junior Hammer for my High School, Westlake Boys. The next year I broke the National record at the same event, three times, but unfortunately I was pipped at the post and came second that day earning a Silver medal in an epic contest. It’s not always about winning it’s about performing to your very best, giving it all you have got and never giving up. I knew I had given it my all that day. At the time I didn’t look like what you would think a Hammer Thrower should look like. But I trained hard always looking for more, working on my technique. I have had some pretty great support from some very good coaches along the way like, Millie McNie, Didier Poppe and my current coach now Mike Schofield. During my years in High School I won a medal in every National Championship culminating in another gold in my last year at secondary school with the title of NZSSA National Senior Boys Hammer Throw Champion. 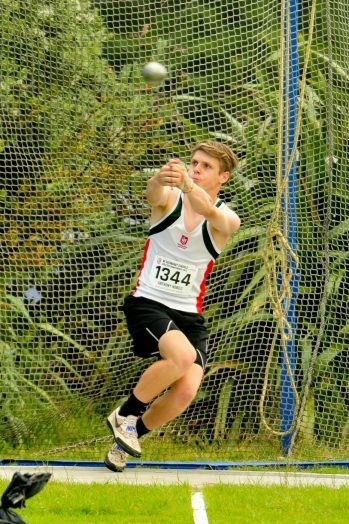 I was also proud to represent my school in all the athletics events run by College Sport, like the Auckland Athletic Championships and I was the Auckland College Sport Champion in the Open Hammer Throw for 4 years in a row and the North Island Senior Champion for two years. It was an honour to be recognised as a finalist in the College Sport Young Sportsman of the Year awards for Westlake Boys High School during both 2016 and 2017. 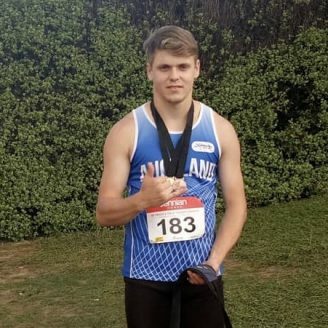 I won my first NZ Athletics National Championship medal at 16 years old, representing Auckland, a silver in the (Youth) U18 Men’s Hammer at the New Zealand Track and Field Championships. I followed this up with two silvers the next year in both the U18 Men’s and the U20 Men’s Hammer. 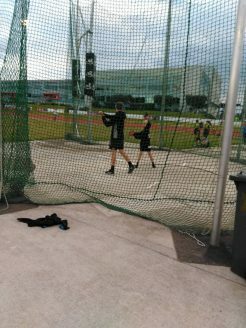 After being the U20 Junior Champion for two years in a row I won my first National Senior Title at the Jennian Track and Field Championships this year throwing the Olympic weight Hammer of 7.26kg. I have got to this stage because of the tremendous support given to me by my parents, my club and coaches and in the past my school. I am also grateful to the Pathway to Podium program which I was honoured to be a part of for two years. Now I train full time at the AUT Millennium with my training squad, under Mike Schofield and work every weekend when I’m not competing. I work as a salesman at the Bike Barn in Takapuna to help with the costs of my training. I also coach for North Sport Academy and have coached all the throws Discus, Shot and Hammer for age groups ranging from 7 years old to Masters level. I really enjoy this part of my sport as well so that I can pass on what I have learned about throwing over the years to others. I would like to make special mention of my Club, North Harbour Bays Athletics, who is so generous in supporting me particularly when my younger sister was sick with cancer. They showed generosity and kindness to my family and it is something we will never forget. My Mum and Dad have been very supportive paying for all my competitions around New Zealand, being travel costs, accommodation and entry fees. They still support me in every way they can but we need some help to get me to Townsville.